September 9, 2016 — The organizers of the Brasov International Film Festival & Market have announced this year’s winner of the MMBF Rising Star Award. The recipient of the award is seventeen years old emerging Romanian actor Andrei Neamtu who is a graduate of Bruno Pischiutta’s International Film Workshops and who has been cast to play an important role in Global Film Studio’s upcoming feature film entitled THE BAD JOKE. Last year, Neamtu was the “Image of the Festival” and he was featured on the official poster. He is exclusively represented by Brasov Talent Agency. For the second time this year Brasov Int’l Film Festival has partnered with the MMBF (Matthew Martino Benevolent Fund). MMBF is a London, UK based international charity that supports filmmakers, actors and individuals studying or working in performing arts worldwide through training grants, scholarships and funding for first time filmmakers. Winners of the award get an award plaque, prize money (USD 250), opportunities to work on film sets as well as tickets to film festivals and film related events. In 2015, the winner of the MMBF Award at Brasov Int’l Film Festival was actress Denisa Barvon. The lineup is featured in the 2016/2017 edition of Daria! magazine. Brasov Int’l Film Festival 2016 – Final Call for Entries! The feature film WILDLIKE, a USA 2015 production written, directed and produced by Frank Green, was the eight film to screen In-Competition at the Brasov International Film Festival on Friday, September 11. From the beautiful and enchanting state of Alaska comes this very delicate film about the sexual abuse of children. The performances of the leading stars, Bruce Greenwood (I Robot, Star Trek, Flight), Ella Purnell (she played the young Angelina Jolie in Disney’s Maleficent) and Brian Geraghty (The Hurt Locker, Flight) are very sober and dramatic. 14-year-old Mackenzie (Ella Purnell), a troubled but daring teenage girl, is sent by her struggling mother to live with her uncle (Brian Geraghty) in Juneau, Alaska. She runs away and an unlikely friendship with a loner backpacker (Bruce Greenwood) forms in the spectacular Alaska wilderness, giving a runaway girl hope and sanctuary in America’s last frontier. Producer and Festival Director Daria Trifu, film director and Festival’s Artistic Consultant Bruno Pischiutta and actress Denisa Barvon introduce the 8th film In-Competition from the USA, WILDLIKE. Actress Andreea Dumitru was also present at the Festival and she was interviewed by actress Denisa Barvon following the screening of WILDLIKE. Here she mentions the upcoming feature film she will play in entitled THE BAD JOKE directed by Bruno Pischiutta. The feature film DADDY, a USA 2015 production by Iranian director Mahmoud Shoolizadeh, was the seventh film to screen In-Competition at the Brasov International Film Festival on Thursday, September 10. The film was presented as a World Premiere. DADDY is starring Ian Doherty and Alyssa Marchalletta. When he (Ian Doherty) finds out that his girlfriend (Alyssa Marchalletta) is pregnant, a troubled teen changes his ways and tries passionately to prepare for fatherhood, but he has an extremely hard time to cope with the unexpected and shocking challenge he is facing. This is a very well realized American feature film and it is exceptional because it has been produced with a zero dollars budget. Producer and Festival Director Daria Trifu together with film director and Festival’s Artistic Consultant Bruno Pischiutta and actress Denisa Barvon introduce DADDY before its screening In-Competition at the Brasov Film Festival. The fifth film In-Competition, from Iran, had its European premiere at the Brasov International Film Festival on Tuesday evening, September 8. The film was OBLIVION SEASON, directed and produced by Abbas Rafei and written by Ali Asghari. The movie is starring Sareh Bayat and Amin Zendeghani. An ex-prostitute (Sareh Bayat) starts a new life by marrying her loved one (Amin Zendeghani) but leaving the shadow of her dark past is not as easy as it seemed before. Now she is the prisoner of her husband and in order to earn her freedom she should fight with the chauvinistic society of Iran. Once again, following the success of the film at the Festival, filmmakers and guests have gathered at the restaurant Die Stube – the second location of the event. The forth film In-Competition, an International Premiere from the USA, was screened on Monday evening, September 7. The film was OTHER PEOPLE’S CHILDREN, directed by Liz Hinlein and produced by Diane Marshall-Green, Liz Hinlein, Adrienne Harris and Edward Button. The director of photography is Edward Button who is also present at the Festival. The movie is starring Diane Marshall-Green and Chad Michael Murray. This feature film gives us a view of the young filmmakers’ scene in Los Angeles as well as the life and issues of homeless kids. Reeling from the death of her famous father, filmmaker Samantha Trassler (Diane Marshall-Green) falls down the rabbit hole of PK (Chad Michael Murray), a charismatic homeless man who becomes the subject of her latest documentary. She is at loose ends until PK gives her renewed purpose. Their affair, however, threatens to tear apart the fabric of both of their lives. The Festival is proud to have presented this beautiful film that has been written, directed and produced by women. This year, Brasov International Film Festival is dedicated to the women of the world and their problems and challenges. Following the success of the film at the Festival, filmmakers and guests have gathered at the restaurant Die Stube – the second location of the event – where actress Denisa Barvon has interviewed Edward Button about his experience working on OTHER PEOPLE’S CHILDREN. Brasov, Romania — October 14, 2014 — The international media everywhere report about the feature film THE GLOW OF THE FIREFLY that had it’s World Premiere and won the ‘Best Director’ award for Khalid Mahmood Mithu at the Brasov International Film Festival & Market last month and that went on to become Bangladesh’s entry in the Foreign Language Film category at the 87th Academy Awards. The 4th edition of the Annual Brasov International Film Festival & Market will be held September 2 – 16, 2015. The Brasov International Film Festival & Market has opened submissions. 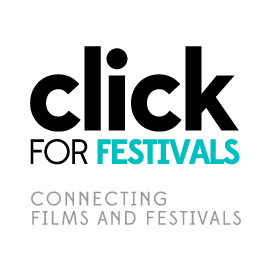 The Festival welcomes submissions of feature-length, nonviolent films only. The submissions deadline is March 15, 2015. The entry fee is €75 or US $100. Film submissions can be made via FilmFreeway or Click For Festivals by accessing the Festival’s website at www.brasovfilmfestival.com. Direct submissions to the Festival may also be accepted; filmmakers may contact the Festival at info@rollywood.org. Brasov International Film Festival & Market is the most important and renowned nonviolent film festival in the world. It has been listed by the British Film Council in their ‘Festival Directory’. The Festival takes place in the beautiful resort city of Brasov located in the heart of Romania. A total of eleven films are presented each year; of these, nine films are screened in-competition and two are screened out-of-competition on the opening and closing gala nights. Each film in-competition is awarded in one of the nine Official Awards categories. Brasov Film Center S.R.L. is the entity that gives a structure to the Transylvanian Film Industry. Brasov Film Center owns and operates the annual Brasov International Film Festival & Market. Global Film Studio Inc. has been federally incorporated in Canada. It is a financing, holding and film distribution company with a world spectrum. Global Film Studio is financing Brasov Film Center. • Festival winner becomes Academy Awards contender. • Dates of the 2015 edition of the Festival are announced. • Film submissions are now open. Brasov, Romania — October 6, 2014 — The feature film THE GLOW OF THE FIREFLY that had it’s World Premiere and won the ‘Best Director’ award for Khalid Mahmood Mithu at the Brasov International Film Festival & Market this year has been selected as Bangladesh’s entry in the Foreign Language Film category at the 87th Academy Awards. The film was chosen by the members of the Oscars Selection Committee in Bangladesh following its success at the Festival in Brasov. From the Romanian headquarters of Brasov Film Center s.r.l., the owner and organizer of the Brasov International Film Festival & Market, the company’s President and Festival Director Daria Trifu has sent a message of ‘Congratulations!’ to Khalid Mahmood Mithu who is currently in the United States of America where he has again been awarded ‘Best Director’ for THE GLOW OF THE FIREFLY at an international film festival in Hollywood. “I knew that you will be happy for my success because your Festival was the 1st to discover and to figure out the movie. I was never thinking that I will be going to win a ‘Best Director’ award from your strong Festival in Brasov. It is a real surprise for me.”, wrote Khalid Mahmood Mithu to Daria Trifu. Festival Director Daria Trifu, Bangladesh Film Producers Faridur Reza and Kona Reza and, far right, Actress Denisa Barvon.